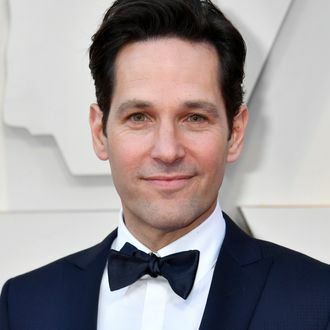 At 49 years old, Paul Rudd looks better than most people in their 20s, so much so we guarantee you’d have trouble telling apart the older Rudd from the younger Rudd when presented with a bunch of photos. Study his body for science reasons, doctors, that is an order! Ever the charmer, Rudd has always politely demurred when asked about his beauty regime — this writer ended up talking to him about Antiques Roadshow when given the chance — although, perhaps in a chipper mood at Saturday’s Clueless reunion at C2E2, he revealed his secrets when hounded by his co-stars. “I’m 80 years old on the inside,” he said, pointing to his chest. “In here, pure darkness — and a little moisturizer.” We can work with La Mer, but embracing our inner devilry might take time.